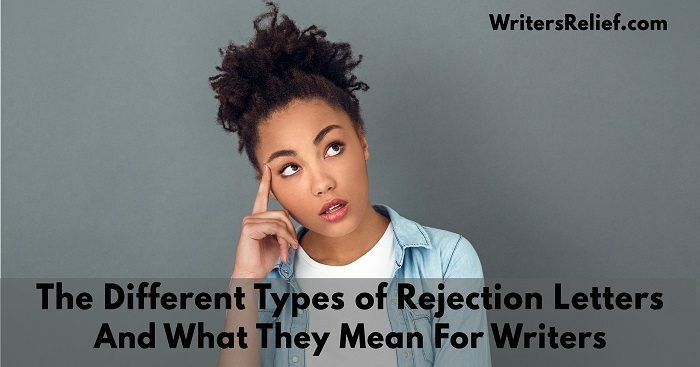 Rejection - Writer's Relief, Inc.
Few literary agents expect query letters to be 100% perfect—especially if the author is new. That said, most literary agents DO expect a certain level of competence and a fundamental understanding of publishing industry etiquette. 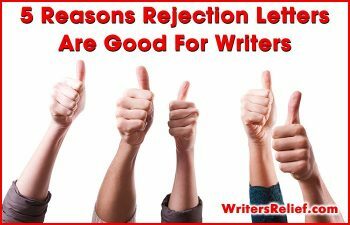 If you’re a writer hoping to get a book published, Writer’s Relief explains the query letter mistakes you must avoid. Ignore submission guidelines. 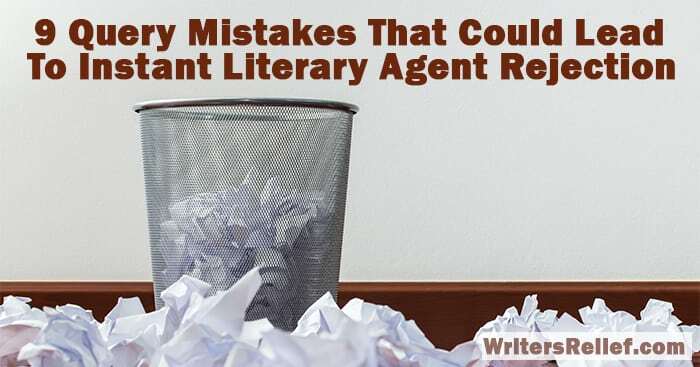 Most literary agents accept that people make mistakes, and some are even willing to overlook submission errors if a project is really, really great. In certain instances, a writer might even decide to purposely break a query etiquette rule for good reason. But if you’re going to ignore submission guidelines, be sure to weigh the risks against the potential payoffs. Fancify the formatting. Most literary agents prefer that you skip the bells and whistles of decorative formatting and instead let your text speak for itself. And besides, simple formatting is standard in the publishing industry. Mislabel genre. Literary agents understand that some books do not fit neatly into a traditional genre format. If the book genre you choose is in the right ballpark, you’re probably okay. Bungle the word count. If you’re seeking a literary agent to help you secure a traditional publisher, then nailing an industry-standard word count is important. There’s not much a literary agent can do with a 300,000-word self-help book (except maybe use it as a doorstop). Go long. A query should be one page long—and no more. No, you are not the exception. Bury your best talking points in long, verbose paragraphs, and literary agents will have tossed your query long before getting to the good stuff. Embrace bite-size sentences and snack-sized paragraphs (after all, agents are reading fast). Learn more about how to shorten your query letter. Overexplain. Good literary agents are smart readers. They know how to infer your book’s themes and concerns from your story and plot. They can tell where you are in your publishing career based on the facts in your author bio—without your spelling it out for them. They also don’t need you to elaborate on why you became a writer to begin with, unless that information is specifically relevant to the book in question. Complain. For many writers, it’s a struggle to fit the book blurb and author bio onto a single page. 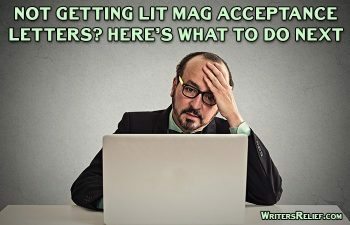 If you waste even one line of your letter grumbling about how difficult it is to become a writer…or how people in the publishing industry don’t have time for new authors…or that the publishing world has let you down…you’ll give agents the impression you are not the optimistic go-getter they are hoping to represent. And who wants to work with someone who already seems to be whiny? 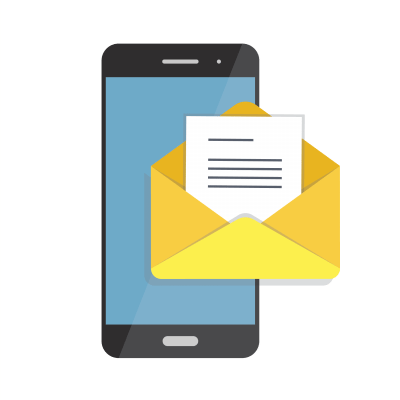 Learn more about how to handle awkward topics in query letters. Skip proofreading. If your query letter arrives at a literary agent’s office full of typos and grammar errors, then chances are it will be deleted very quickly. Your letter-writing skill will reflect on your book-writing abilities! When you start reading all the rules of query letter writing, it may seem as if literary agents are mustache-twirling Svengalis who get their jollies by rejecting new writers on technicalities. 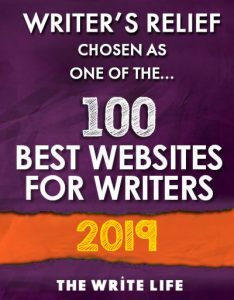 But keep in mind that most literary agents go into publishing not because they hope to make a fortune, but because they love books—and the people who write them. They want you to succeed as much as you want you to succeed. Use common sense to avoid simple mistakes, and your query will be in a great position to shine. Question: Which of the above points on our list do you think is easiest for new writers to overlook?